Kids love hotdogs especially if you have it with them inside their lunchbox for school. Actually, not even the young ones but even the young at hearts as well. 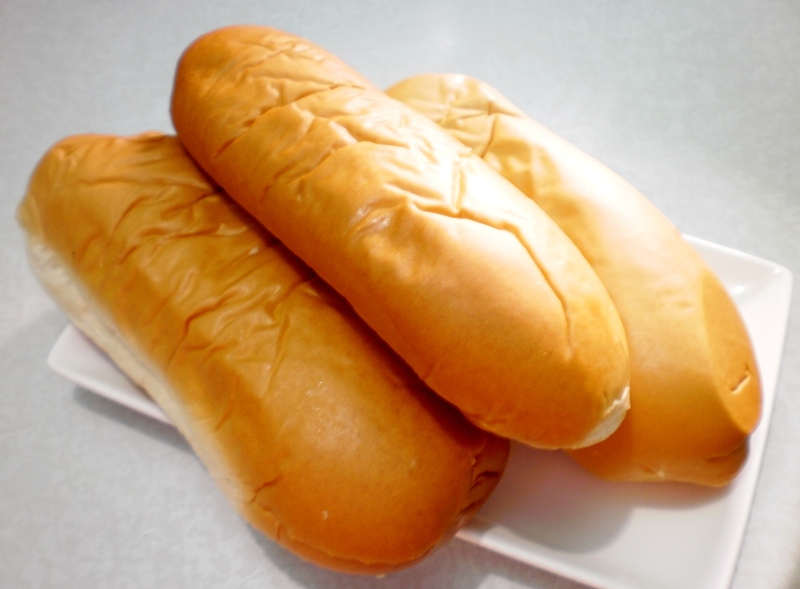 So, why not make an easy bread recipe with your favorite hotdog as the main ingredient. 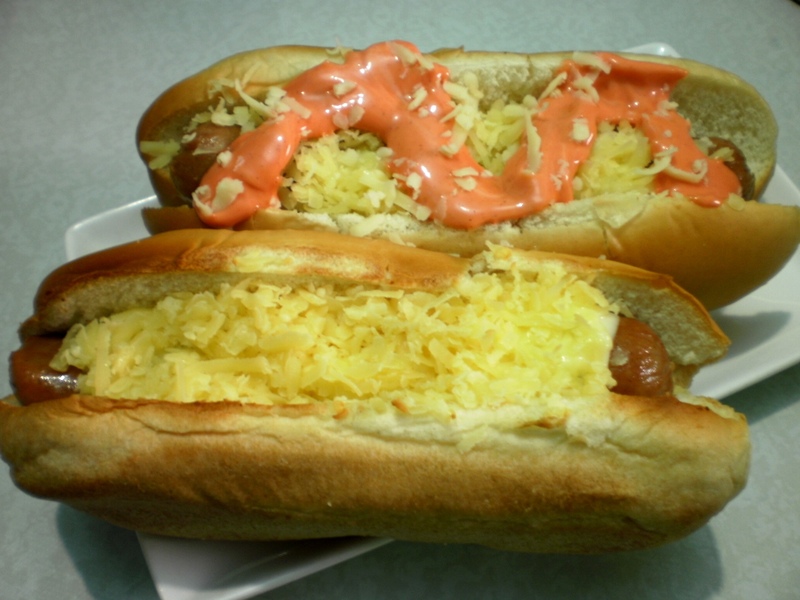 Let’s now make our own jolly hotdog. 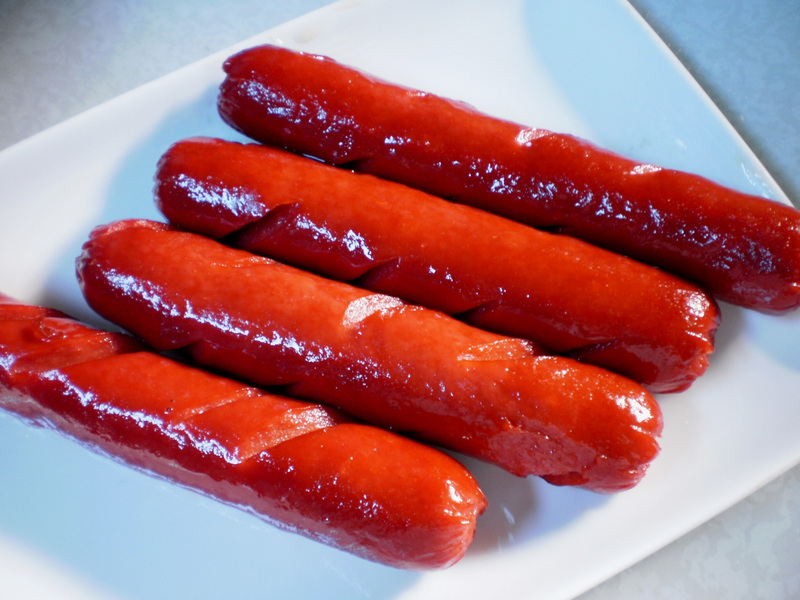 By the way, I call it jolly hotdog because it makes me happy every time I am having it as an instant snack aside from the fact that the word “jolly hotdog” were known because of Jollibee, a famous fast food chain here in the Philippines. 1. Slice hotdog buns into halves vertically. 2. 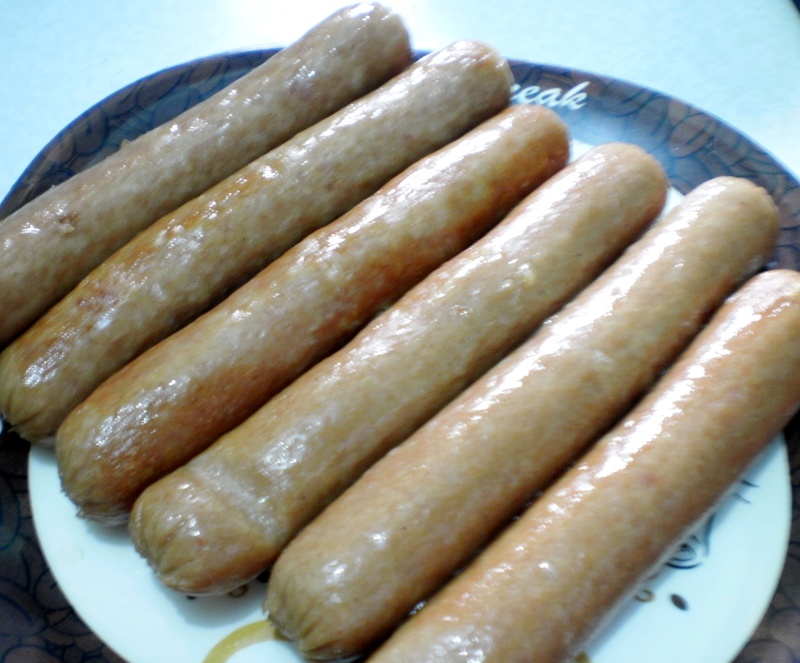 Boil cheesedogs or hotdogs in hot water until cooked. I prefer having it boiled than being fried for a lesser cholesterol snack. 3. 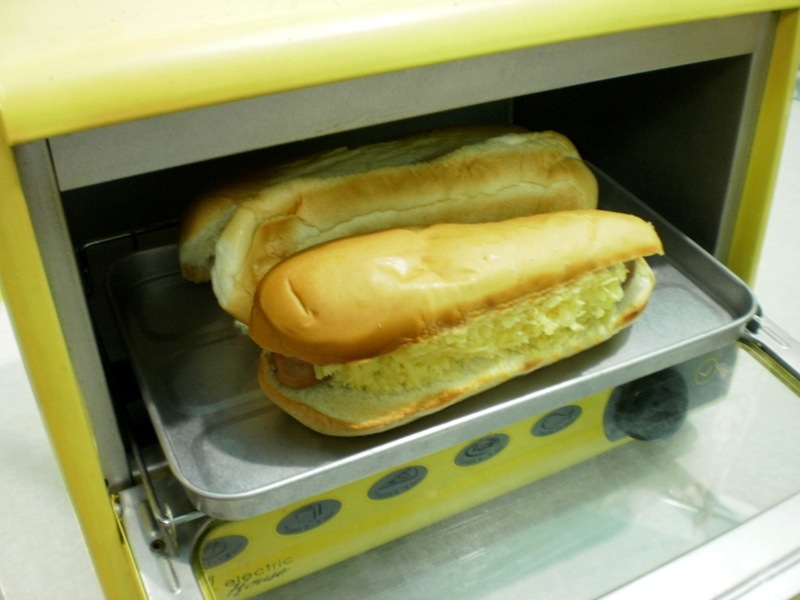 Put your cooked cheesedogs or hotdogs in the middle of your sliced bun. 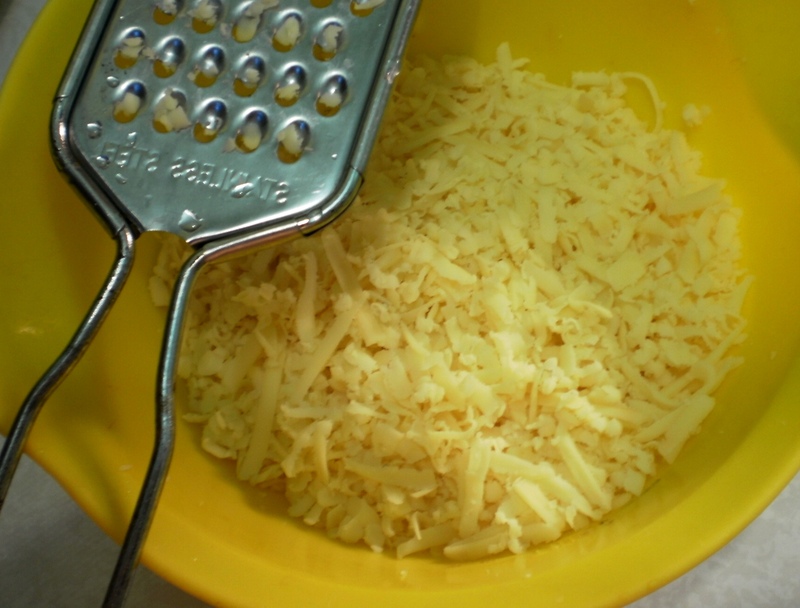 Then, sprinkle it with lots of grated cheese on top (the more cheese, the better and the more delicious it will be). 4. Heat it in the oven for two to three minutes or until done. If there’s no available oven, you can pre-heat the sliced bun in the pan until rightly toasted. 5. 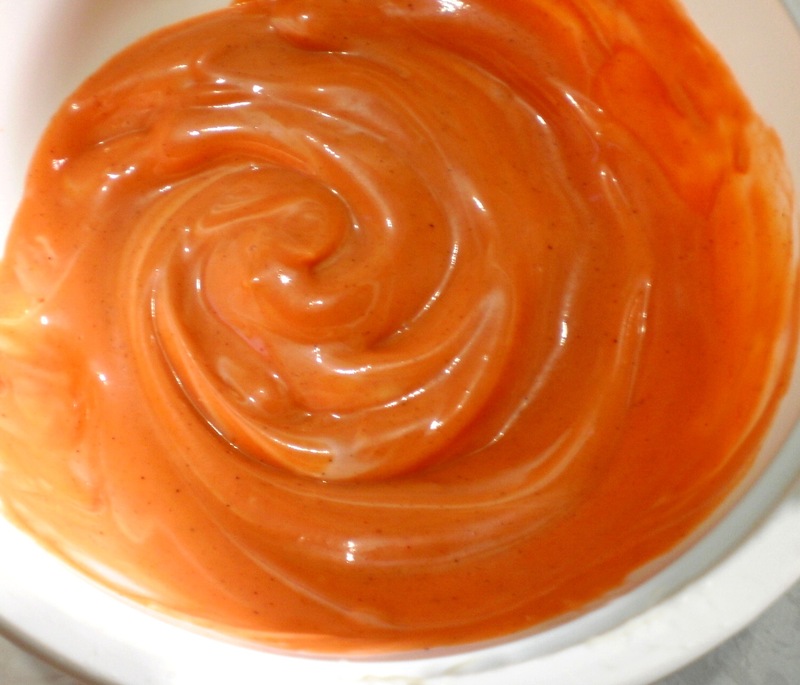 Mix mayonnaise and ketchup in a bowl. The amount of each condiments depends on how you want your batter to taste. 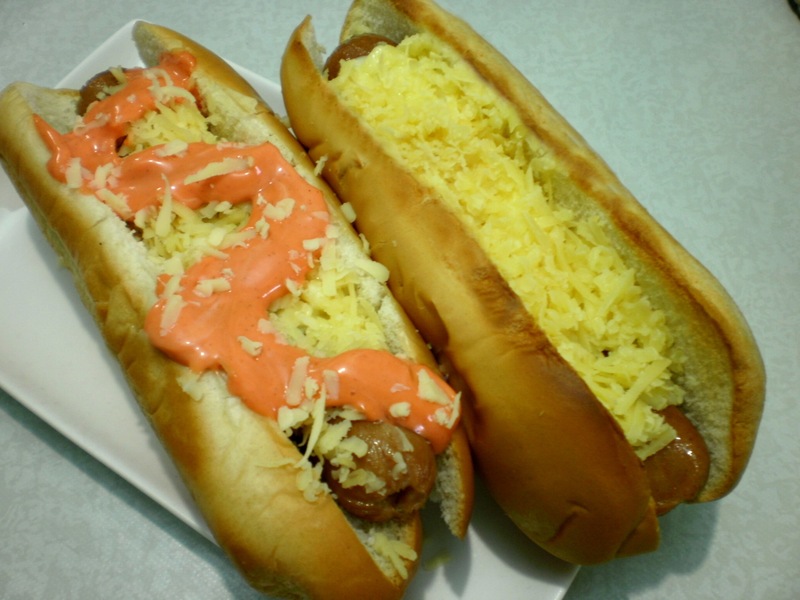 After mixing it, pour it over your jolly hotdog on top of the grated cheese. Enjoy eating it with a combination of any of your favorite beverage and let your friends have a taste of your simple treat! Whenever I am having these two breads, ‘Malandi” and “Mayabang”, as merienda every afternoon or for breakfast with coffee or juice on the side, I can’t help myself but laugh a little and smile. It does not only take away my hunger but also removes my stress in down moments just by remembering the names of these pastries. It’s like you’re eating the most flirtatious and the most arrogant food in town. Although their aliases doesn’t necessarily speak for their tastes and characteristics. In fact, it presents itself humbly which were being sold in small bakeries and not in extravagant stores. “Malandi” is a Filipino term for “Flirt” and “Mayabang” is a Filipino term for “Arrogant”. 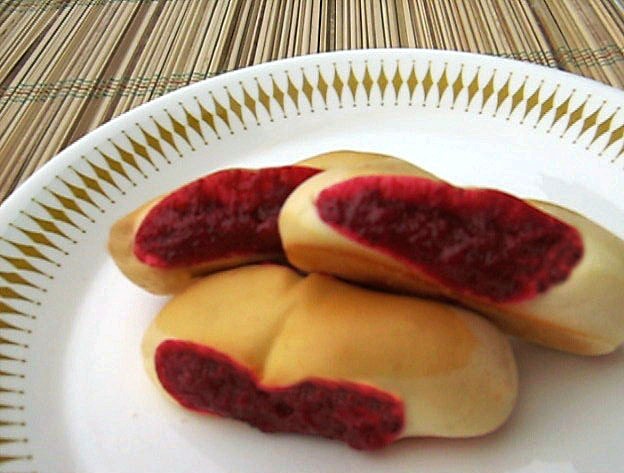 Actually, I have no idea if why these two local Pinoy breads where named that way. I see no connection aside from their distinctive colors. 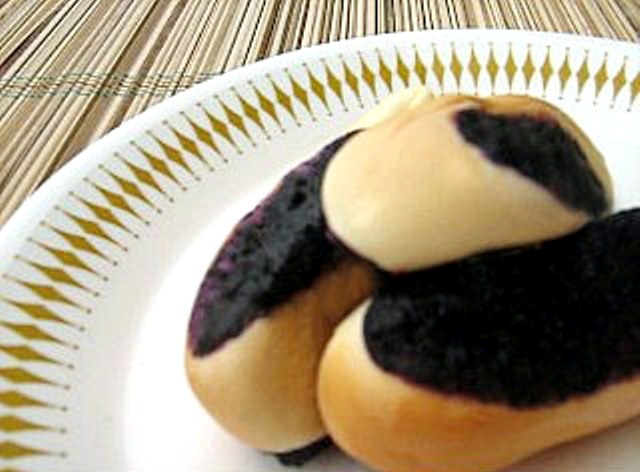 The “malandi” bread has this red color of spread in the middle while the “mayabang” bread has this bluish violet spread within it. These oval pastries which is as the size of any ordinary bread specifically the “pandesal” tastes sweet and yummy at the same time. They were sold in small bakeries in town and it can’t be seen in any branded or commercial bakeshop. You can buy them for the price of two pesos each (Php 2.00). Presently, their names have evolved and were seldom called this way anymore. Filipinos has really this weird, funny, and humorous ways of naming anything under the sun most especially with the native food found in our country. For me, this behavior of giving funny names only shows the happy side of being a Filipino despite its economic problems which is now in the process of recovery. 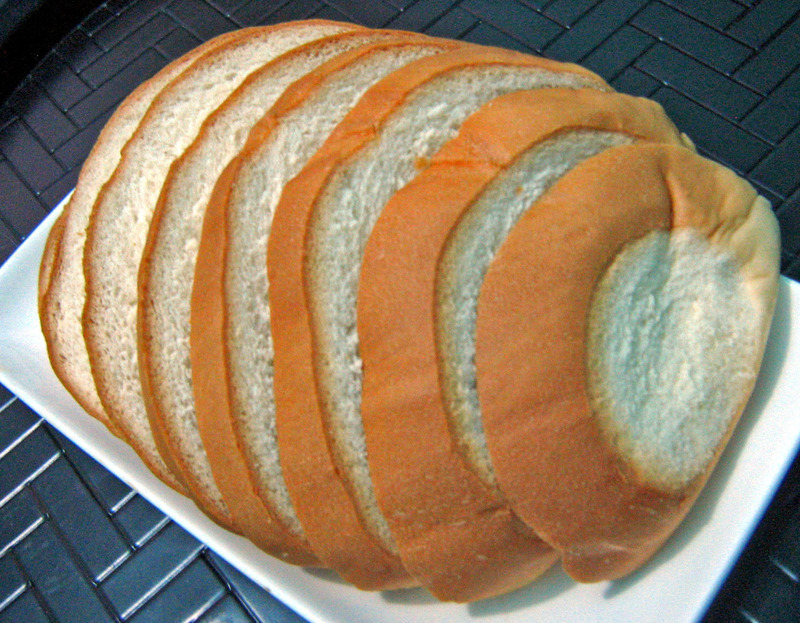 Sputnik bread is a classic Filipino bread that can be usually bought in a small type bakery. This bread is quite hard to be found right now especially in famous or branded bakeries or in those famous bread and pastries store in the mall. But, you can still afford to buy this for two pesos (Php 2.00) in some local bakeries in the streets… if you’re lucky enough to find it. 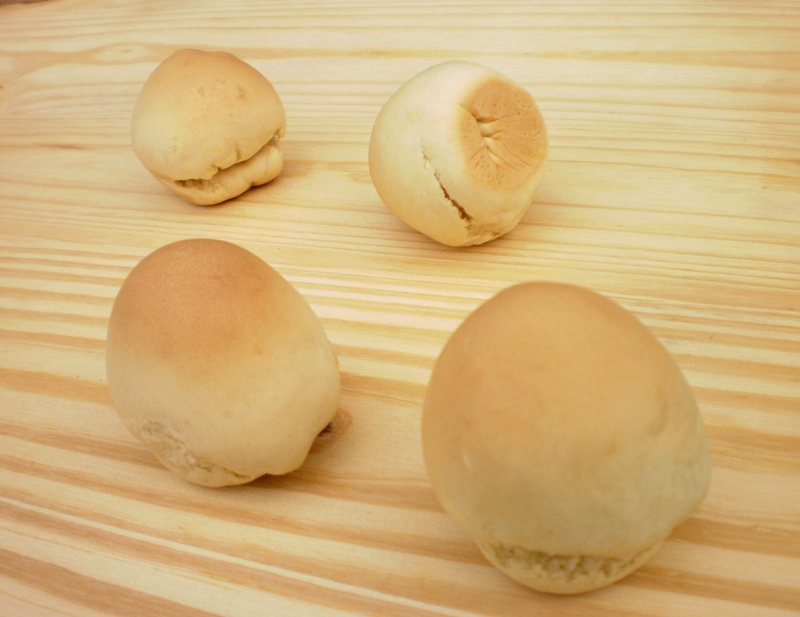 Presently, this pingpong ball-shaped bread has evolved into different and updated name like “mushroom”, wherein they share the same appearance and size. I also think that the name of this bread, “Sputnik”, as well as its form was derived or originated from the “Sputnik satellite”, which is also round in shape and the first artificial satellite that was placed into Earth’s orbit. If you’ll asked me about the taste, it’s milky and luscious at the same time… that is why I like eating this bread when I was young. Well, since I’ve had it featured in my food moments entry.. it means that I have an unforgettable experience with this pastry. I was eight years old then when my mom asked me to buy some of these bread in the bakery nearby our place. So I did! When I’ve had it with me and I was about to get back home, I did not notice that there’s one dog following me at the back. When I am about to run, the dog started to chase me down… and so I fell. When I woke up, as far as I can remember… I was in a tricycle on my mom’s lap heading our way to the hospital. They panicked because they told me that I am unconscious for more than five minutes. When I got into the hospital, they’ve had me checked. The doctor said that a hard object hit my head which made me unconscious and gave me a head wound and injury. Of course, it’s not the sputnik! 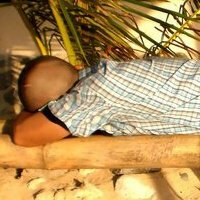 We later found out that it was the exposed head of a big nail in the wooden pathway where I fell that hit me and left a scar on my head (notice the scar in the upper back part of my head). At the end, I turned out to be fine and recovered. While the “sputnik” bread were left scattered all over the pathway as that dog ate all of it. Maybe, it’s the fault of the bread! That is why the dog followed and chased me because it was tempted of the bread’s luscious smell. Aside from the fact that I’ve bought it fresh from the oven. After that event, I still love eating “sputnik”! We usually have leftover bread at home. So, I decided to make a “Sugar Butter Toast” out of it. I just came out with a good simple recipe with any kind of leftover bread we have on the table. This is how to make your own homemade toasted bread. Here’s what you’ll need: any kind of leftover bread, butter (or margarine if there’s no butter), and sugar. First, heat the pan. Then, spread butter over your bread (one side only) and sprinkle enough amount of sugar on top. Next, turn your bread upside down in a heated pan with a very low fire for few minutes to avoid getting it burned. Wait ’til the butter and sugar caramelized or until golden brown. Toast the other side afterwards. 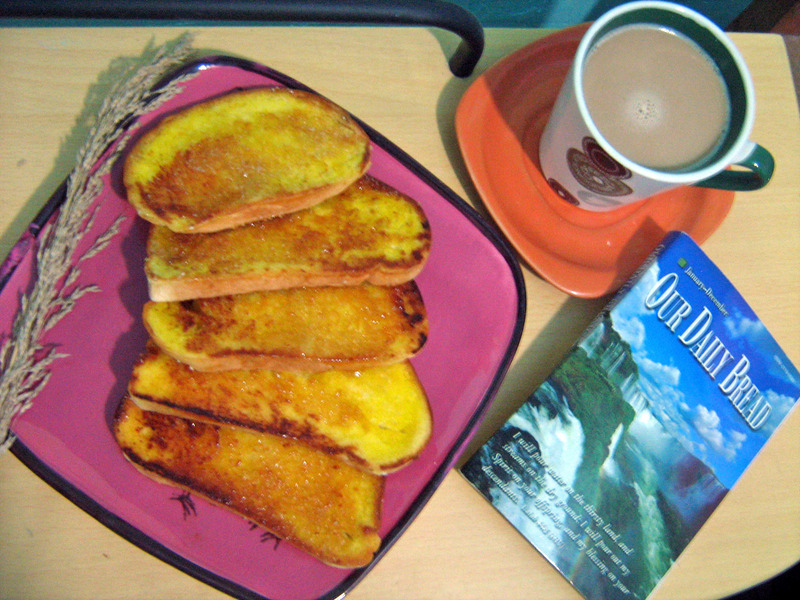 Serve with hot coffee for breakfast while reading your favorite book or newspaper. 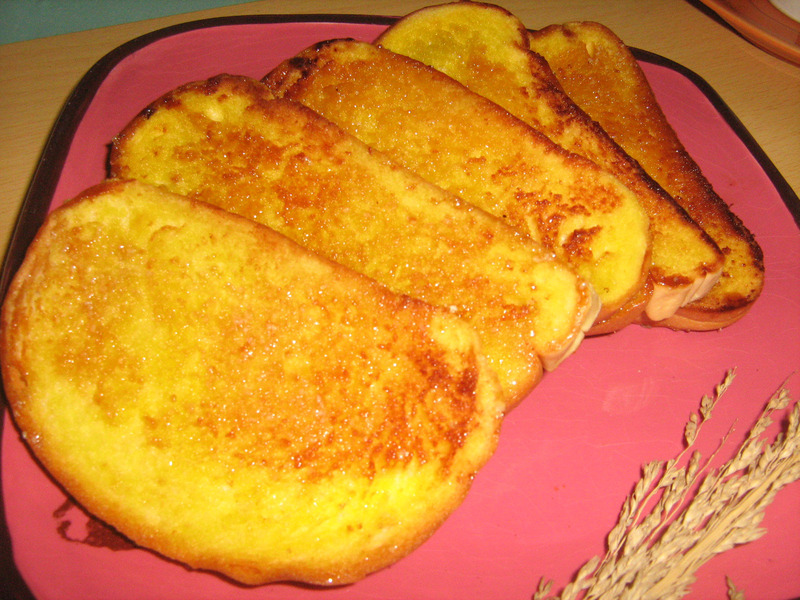 Share it with a company and let them taste you homemade “Sugar Butter Toast”. Pan de Sal is a spanish word which means “Bread of Salt”. 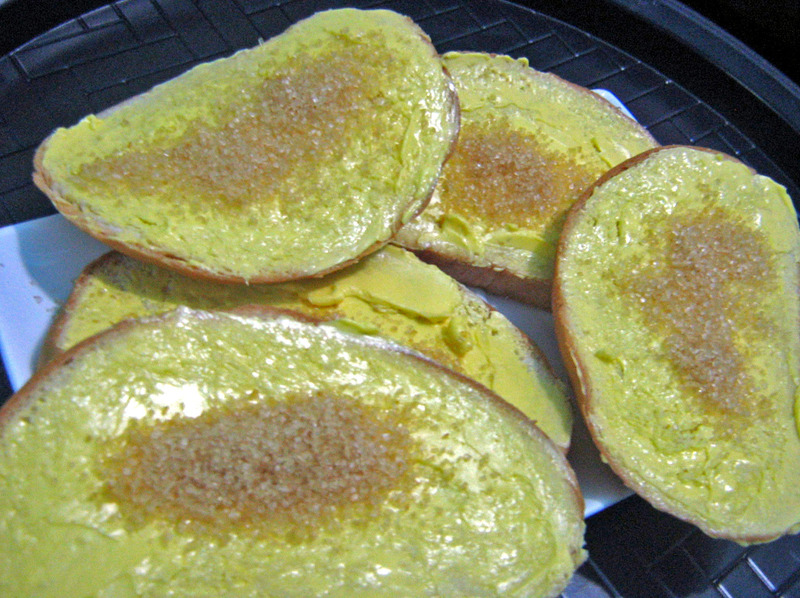 It’s a classic Filipino bread served in breakfast and usually dipped in coffee. You can have it buttered or spread it with scrambled egg, sardines, omelets, corned beef, bacon, fried spam, salted egg, mayonnaise, cheese or any jam. Sometimes it is paired up with goto (lugaw) or champorado. 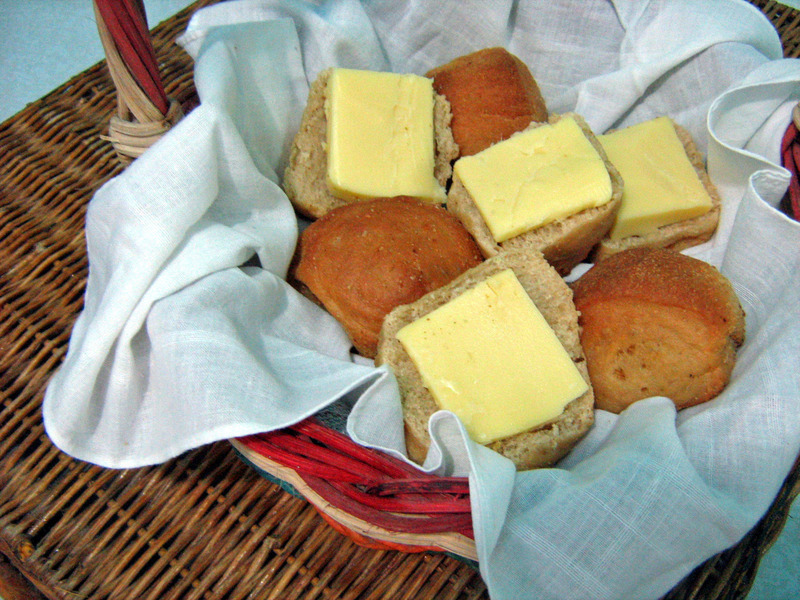 It is a common and famous bread made of flour, yeast, eggs, sugar and salt. Then coated with bread crumbs. It is best eaten when hot and fresh from the oven. 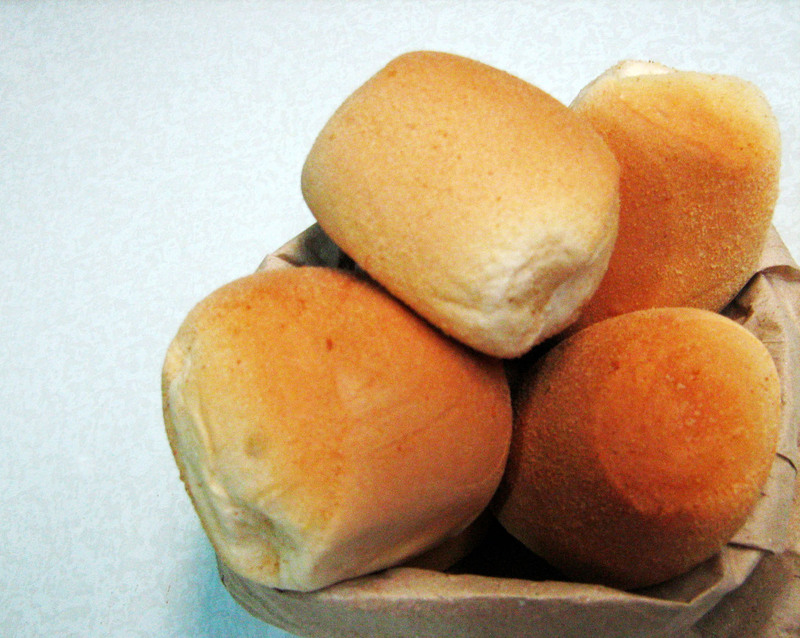 Deserving to be the popular bun in the Philippines because every Filipino, rich and the less wealthy, really has this on their table during breakfast. Actually, I can call it as a “national bread” in my country. In addition to that, a survey in the news says that pandesal is not only good for breakfast but healthy too for midnight snack especially when paired up with milk.